IPL 2019 CSK vs KKR Preview: Rampage looms, can Chennai stop Andre Russell? IPL 2019, KKR vs KXIP preview: Can Kolkata ace Chris Gayle challenge? IPL 2019 RR vs KKR preview: Can resurgent Rajasthan stop rampaging Kolkata? In match 29th of the Indian Premier League 2019 (IPL 2019), Kolkata Knight Riders (KKR) will host Chennai Super Kings (CSK) at the Eden Gardens on Sunday. 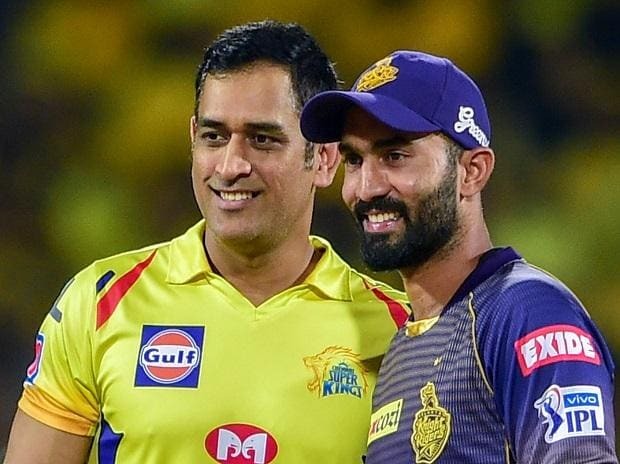 MS Dhoni-led Chennai are placed comfortably at the top of 2019 IPL points table while KKR slipped to the second spot after two consecutive losses. Dinesh Karthik's KKR lost their last match at Eden Gardens to Delhi Capitals after making three changes in their playing 11 that paid heavily. Chennai Super Kings defeated Rajasthan Royals at Sawai Mansingh Stadium on Thursday and with that, they also brought up their hat-trick victory. Meanwhile, it was confirmed that Harbhajan Singh will not be part of CSK playing 11 against KKR as he is suffering from a stiff neck. "I was supposed to play in Jaipur against Rajasthan Royals but in the morning of the game, I had severe neck pain and had to pull out," Harbhajan told news agency PTI. Chennai clearly have visible weak spots but Dhoni still manages to get away with victory as he knows how to get the best out of his players. Kolkata have shown signs of weakness in their last two matches and their reliance on just Russell is evident but the all-rounder looked tired in their match against Delhi and Karthik will have to find ease his burden. In their last clash, KKR were bundled out for 108 runs that Chennai chased comfortably and the side would eye revenge at home ground. Overall, the Edens pitch is favourable to batsmen and bowlers alike so the show will be interesting as the two sides collide. KKR dropped in-form Chris Lynn to bring Joe Denly who was out on golden duck against Delhi, Carlos Brathwaite, in place of Sunil Narine, too struggled to put runs in the last overs and was meek with the ball. Lockie Ferguson also was not at his best. The side may bring back Lynn and Narine as their inclusion would be crucial against Chennai. Shubhman Gill slammed 65 against Delhi Capitals and he, along with Nitish Rana, would be the key for KKR in the batting department. Ande Russell has six consecutive 40-plus score so far in IPL 2019 but the load on his shoulders is visible and KKR may consider to give him some rest or place Narine to distribute the load. Too much reliance on one player may cost them much more than they can calculate. Kuldeep Yadav, Piyush Chawla have not been able to pick wickets and that's one area KKR would be concerned about. No matter what challenges Chennai Super Kings face, it all falls in line for them at the end of the day. The Dhoni-led side has lost just one match out of seven and despite trying a few combinations in their last few matches, all seems fine in the side. MS Dhoni, however, courted controversy after he walked out of the dugout towards the umpire who had initially given a no-ball off Rajasthan Royals' Ben Stokes' delivery in the penultimate over. The action cost Dhoni 50% of his match fee, the CSK skipper would look to go past the incident. Harbhajan Singh, who is picking wickets in almost every match, was rested and Santner was tried in their last match, the spinner had a decent show with the ball but he gained all the applause after hitting the winning run -- a six -- on the last ball. Dwayne Bravo was also not included in their last match, CSK may consider him for the match against KKR as the opponent may field 2-3 players who can contribute with runs as well as wickets. KKR vs CSK match live streaming will be available live on Star Sports 1 HD, Star Sports 1 in English Commentary and Star Sports 1 Hindi, Star Sports 1 Hindi HD in Hindi Commentary. One can also live stream the KKR vs CSK 2019 IPL match on Hotstar app and Tatasky app. The fans can also watch in-depth analysis of live match on Star Sports Select 1, Star Sports Select 1 HD. Kolkata Knight Riders: Dinesh Karthik (captain), Sunil Narine, Andre Russell, Carlos Brathwaite, Joe Denly, Lockie Ferguson, Chris Lynn, Robin Uthappa, Harry Gurnley, Kuldeep Yadav, Piyush Chawla, Nitish Rana, Sandeep Warrier, K.C. Cariappa, Shubman Gill, Rinku Singh, Shrikant Mundhe, Nikhil Naik, Anrich Nortje, Prithvi Raj, Prasidh Krishna.